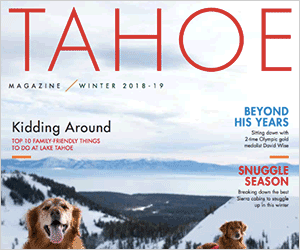 The North Tahoe-Truckee region is a sporting mecca. We have some of the best mountain biking and better-than-average road biking as well as superb hunting, fishing, kayaking and unbelievable hiking trails leading in all directions. Every once in a while someone gets hurt while having fun on public or private land. Today’s Law Review is about balancing the rights of recreational users with landowners who allow public use of their land. In 1963, California adopted a Recreational Use Statute, which makes private landowners immune from liability for injuries suffered by people who enter their land free of charge for recreational purposes. (Civil Code, § 846). Nevada has a similar law. Both laws were enacted in response to closures of large parcels of public and private land – to encourage landowners to allow use of their property for recreational activities. Good public policy. Under Government Code 831.4, public entities are not responsible for injuries caused by the condition of any unpaved road or any trail on public land which provides access to fishing, hunting, camping, hiking, riding (animal and vehicular), water sports, recreational or scenic areas. The law also protects private property owners who deed public easements to municipalities for those same recreational purposes. California courts have interpreted the immunity provided by § 831.4 broadly; to now encompass unpaved and paved trails and roads, even sidewalks and paths including bike paths, used for recreational purposes, hiking, biking, skating, etc., or used for access to another recreational area. The immunity applies to the maintenance, design, location and condition of public trails and paths. Bottom line, if you are injured on a public trail or bike path (or private trail or bike path easement-deeded to a municipality), your legal rights are limited. Subject to three exceptions, the Recreational Use Statute (Civil Code, § 846) protects private landowners from lawsuits for injuries sustained by people who are allowed to enter their land free of charge for recreational purposes. The California Legislature has broadened the original statute in a series of cases to encourage an open-gate policy. California’s landowner immunity applies to almost anyone who owns land even land controlled through an easement. And it is not limited to trails and paths. Previously, the recreationally used property had to be unimproved, that is, without any structure, to entitle an owner to immunity. Court cases have expanded the 846 immunity to improved property, such as steps, railings or even a building. The California Recreational Use Statute (846) creates three specific exceptions where landowners are not immune. 1. There is no immunity from liability if “landowners willfully or maliciously fail to guard or warn against a dangerous condition, use, structure or activity” on the land. If the landowner knows of the dangerous condition and knows that recreationists use the property, failure to protect or expose the owner to liability. Signage usually suffices as a warning. 2. If the landowner is paid for granting permission to enter the property for recreational purposes, the immunity does not apply. For example, the landowner leases the land for bicycle races. 3. The immunity law does not apply where the injured person was expressly invited onto the land by the owner. Cases have determined that promotional literature to the general public to hike in a national park did not constitute an “express invitation,” so the immunity from liability still applies. The broad § 846 landowner immunity has generally been found by federal courts to apply to federal property used by the public for recreation. The California Supreme Court has ruled that the immunity does not apply to state lands, although Government Code § 831.7 contains a similar landowner immunity for “hazardous recreational activity” on state lands, but with even more exceptions (more liability) than § 846.